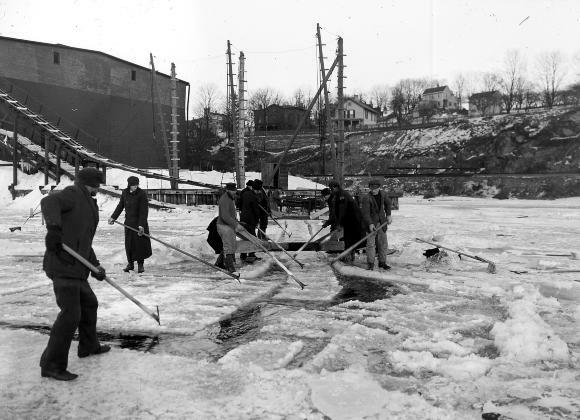 Ice Harvesting. Pulling cakes of ice through the short, or Monk, Canal. Stuyvesant Landing, Hudson River, N.Y, (1912). Source: New York State Archives. New York (State). Education Dept. Division of Visual Instruction. Instructinal glass lantern slides, ca. 1856-1939. Series A3045-78, No. 834.